But, think about it a little longer. What if we all adopted this approach, all of the time? Nothing would ever change. Where would innovation come from? What would happen to creativity? The problems that we face, big and small, would simply become ‘accepted’ and incorporated into our ‘reality’, our ‘truth’, and not open to question. I guess this approach is more prevalent than we care to imagine. How much of our world, and ‘your’ individual ‘reality’, is governed by assumptions and beliefs? Think about times when you have experienced the most profound ‘learning’. Those moments when you have had deep insights. When you have suddenly had that ‘breakthrough’ feeling. How did those ‘eureka’ moments happen?Typically, they follow a period of confusion, or frustration. A period of uncertainty when things did not make sense. Having our ‘status quo’ thoughts disrupted and our previous ‘certainties’ questioned, creates the conditions necessary for new learning. Indeed, it is the unlearning of existing ‘beliefs and assumptions’ that pave the way for new connections and associations to be created inside our brains. Look at your teams, your organisation, and within yourself. Challenge the ‘certainties’ you see and hear. Encourage your people to get ‘confused’. 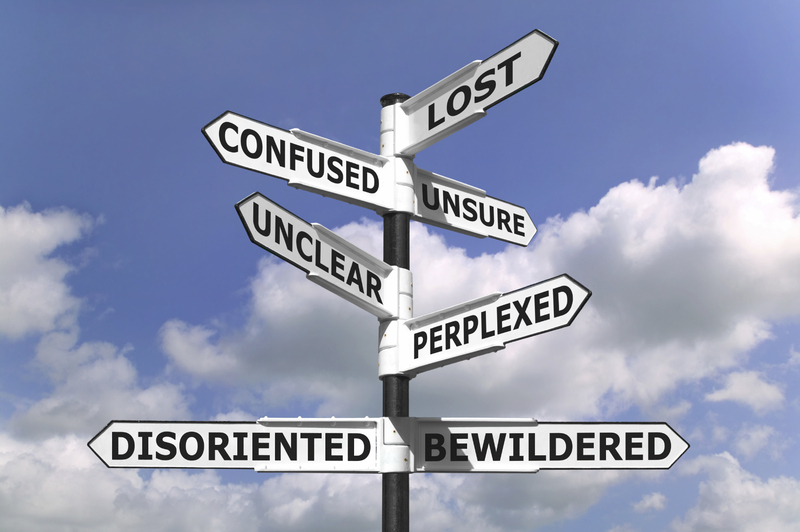 Celebrate that confusion and give yourself permission to be ‘clueless’ too. Great leaders don’t have all the answers, but they do ask great questions and encourage ‘disruptive thinking’, creating an environment where profound personal and business insights are able to emerge. This entry was posted in creativity, Learning, problem solving and tagged brain, clueless, connections, creativity, curiosity, innovation, leaders, leadership, learning, problem solving, uncertainty by louiscollinsblog. Bookmark the permalink.